The Supreme court has dismissed the suit filed by Nyesom Wike, Governor of Rivers State, challenging the jurisdiction of the Rivers governorship election petition tribunal to hear a petition by candidate of the All Progressives Congress. (APC), Dakuku Peterside. In his argument, Wike had argued that the tribunal sitting in Abuja had no jurisdiction over matters that transpired in the state, contending that the tribunal should have sat in Rivers and not Abuja. The tribunal was moved to Abuja due to security concerns. 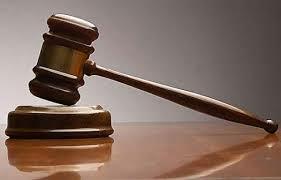 The appeal court had earlier ruled that the tribunal in Abuja should handle the Rivers state petitions. The tribunal ruled that Wike, the governor of Rivers state be sacked and Independent National Electoral commission (INEC) to conduct a fresh election withing 90 days.